In a previous post I showed you how to install the Ralink RT5370 and equivalent USB WiFi adapter for OSX Yosemite 10.10.x. In this brief post we will use the information learned in that previous post and adapt it to install the same driver on the new OSX version released a few weeks ago, El Capitan 10.11.x. But before we start you should understand that Apple made a number of security changes to El Capitan, one of them called SIP (System Integrity Protection). 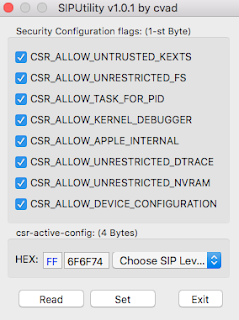 Follow the link for more details about SIP, but the most relevant to us is to understand that in a nutshell the driver will not work (load into the kernel) out of the box, and we need to disable SIP completely for it to work. 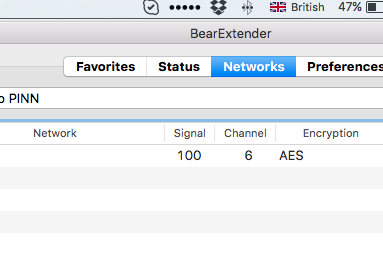 Final step is to install the Bear Extender WiFi management GUI. Once you reboot the machine once more, you are able to use the Ralink driver on El Capitan! 4. Install Bear Extender WiFi management GUI. Once you reboot the machine once more, you are able to use the Ralink driver on El Capitan! 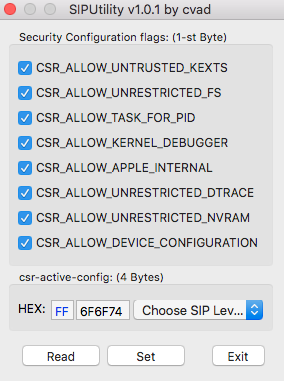 EDIT (10/11/2015): If you are having issues to disable SIP with SIPUtility, you may try the KCPM Utility Pro.